Star West Indies all-rounder Andre Russell was on Saturday ruled out of the three-match T20 series against India, dealing a big blow to the visitors on the eve of the opening game at the Eden Gardens in Kolkata. 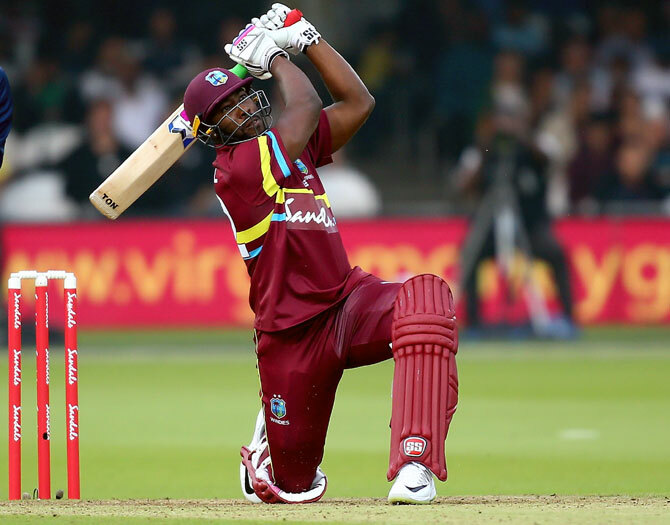 West Indies chief selector Courtney Browne confirmed Russell's unavailability for the India series but did not give the details of his injury. "Andre Russell and Sunil Narine are injured at this time. Ashley Nurse will miss both the remainder of the India tour and the Bangladesh tour as he recovers from his injury. We wish the team every success on a challenging assignment in India," Browne said in a statement. On Thursday, spinner Nurse pulled-out of the remainder of the India tour with a shoulder injury. The team is already without the services of Chris Gayle and Sunil Narine though the likes of Kieron Pollard and Darren Bravo are in India. The 30-year-old Russell last featured in the Afghanistan Premier League representing Nangarhar Leopards on October 9 but was not named in the ODI squad with the Windies Cricket ruling him out due to injury. "With the T20 World Cup two years away the process of rebuilding a squad to be a competitive unit for the tournament is critical at this stage. The introduction of young talent at this time gives the coaching staff some lead time to help them develop their skills and for the team to develop into a very competitive unit. "The team retains some experienced players who will work alongside the younger group which is very important for their development. The journey will begin without some of our stalwarts noticeably Chris Gayle, Marlon Samuels and Samuel Badree," Browne added. West Indies were hammered in the two-Test series before they lost the five-match series 1-3. PIX: Tendulkar, Kambli back together on the field!